*The New York Daily News is reporting that Sunday’s scheduled release of Usher’s new CD “Raymond Vs. Raymond” has been delayed until March 30 because his label refuses to move forward until he finds a new manager. Ursh’s situation at Jive Records has reportedly been chaotic ever since he and his mother – and former manager – Jonetta Patton, severed their professional ties in late November 2009. In the meantime, Usher has reportedly made moves to sign with AEG Live CEO Randy Phillips, who manages Lionel Richie, Toni Braxton, and was serving as Michael Jackson’s manager at the time of his death in June. “In fact, Usher was spotted sitting at Phillip’s table at Clive Davis’ pre-Grammy bash,” Gatecrasher reported, adding that Grace Miguel was also with the R&B star at L.A. Reid’s post-Grammy party at the L.A. restaurant Cecconi’s. 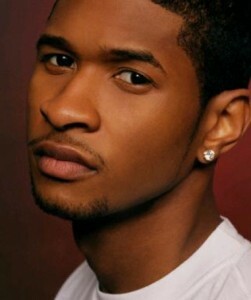 Usher obviously you did not learn your lesson with your ex Tameka. Why do you feel the need to let your current boo get involved eith managing your career. Why keep putting your mothr through all of this drama? You are sabotaging your career my friend. Keep Grace out of it you see your record label is not happy about it. I see this 2 ways, why does his mother feel that she should have so much input in this grown-azz man’s personal life?? I mean everybody wanted to blame Tameka for Usher’s slight fall, but Usher is a man. I think his mom should state her opinion to him in private and leave him to either follow her advice and/or succeed or fail on his own.